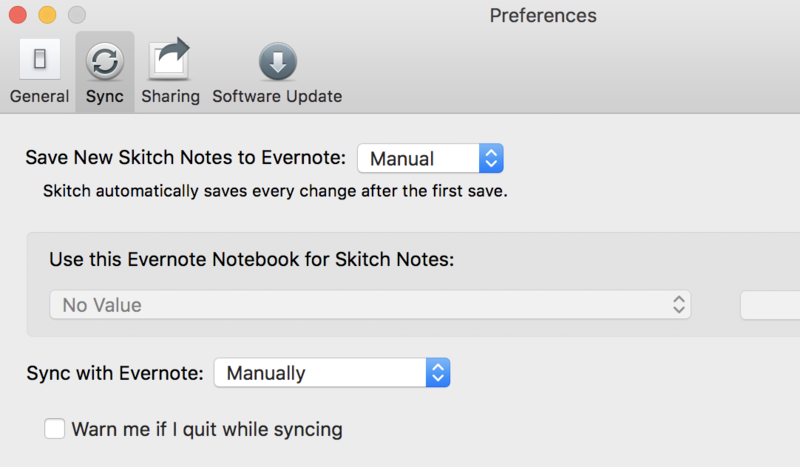 I recently installed Skitch Version 2.8 (264391) and it keeps prompting me with an annoying popup window asking if I'm sure I want to "Discard Skitch Note" prior to quitting. This prompt has to do with Skitch's ability to upload/sync screenshots to Evernote. Because you don't have this configured, it's asking if you're sure you want to quit without having done this synchronization. 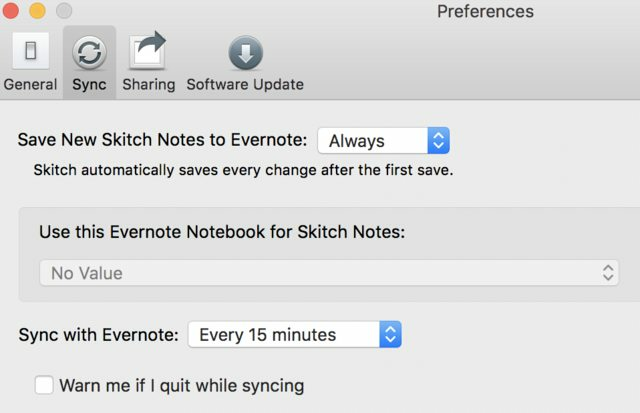 To disable this behavior you can go under Skitch → Preferences and select the Sync tab and change the preferences so that Skitch will only do manual syncing to Evernote. Not the answer you're looking for? Browse other questions tagged screen-capture skitch . Resizing a window to a specific size, for screen recording? Can iOS be configured so apps do not create screenshots when the app suspends?